As part of our community, PRS gives disabled people the chance to give back to society through work placements, which not only offer an entry to the world of work, but make a real difference to the running of our organisation, too. Our adult learning courses with PRS help students develop their personal interests and give the opportunity to pursue formal qualifications. We can always spot a PRS student as positive and enthusiastic about learning. 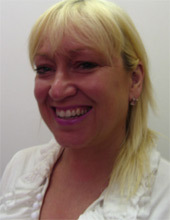 Our sports activities are tailored to the needs and interests of our clients. We only have one rule – to have fun! I met people on my course with the same interests as me, and now we can choose our activities together. PRS has given me the chance to study subjects I couldn’t do at school, and I love trying new things. Having someone to help me with life skills has given me the confidence to take more control of my life. I am always treated as an adult, and I make my own decisions with PRS After spending time with PRS on my options for the future, I feel ready to take the next step towards independent living. I love doing sport, and the trainers are all really friendly. I’ve just spent 6 weeks work experience at Sunderland City Hospital, and I loved being with other people at work. "PRS offers a real alternative to traditional activities for adults with a disability. We believe that the best opportunities for development lie in expert training, empowering life skills, and above all; individual choice." We work with you to match the activities and courses you like with the learning you want. 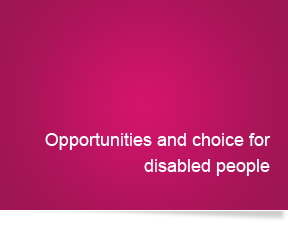 We are committed to offering high quality training, education, day and outreach services to disabled people.